In mimicking the molecular composition of the skin surface's hydrolipidic film, ethylhexyl olivate promotes better skin hydration levels that, in turn, will increase the mechanical properties of the skin, resulting in skin that is more flexible with better suppleness and resiliency. In improving skin barrier integrity, and prolonging sustained hydration, skin elastically is improved. This is reflected at the skin surface with skin that feels smoother, more elastic and with an increased silky softness. 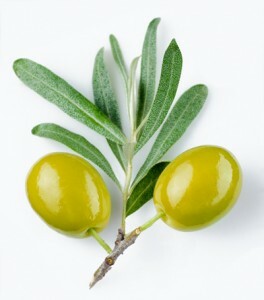 100% natural, this organic oil, being derived from the olive, has been used since ancient times as an emollient for conditioning and softening the skin. It is especially helpful for dry and chapped skin. The oil is retrieved by crushing and pressing the fruit of the olive tree, one of the most ancient trees still flourishing today. Ethylhexyl olivate was chosen specifically to align with the higher alkaline value of children's skins, but also because it is very stable, contains protein, minerals and vitamins and has excellent antioxidant values. It is high in unsaponifiables, which are a large group of compounds called plant steroids. These compounds not only soften the skin, they have a superior moisturizing effect on the upper layers of the skin and they can reduce scars.